Deep conditioning is a necessary component of healthy hair care, and while it should be completed during every wash day, it is not the end of the world if skipped. There are several reasons why someone may occasionally skip this step just like there reasons why you need to do them, especially if using a clarifying shampoo. Conditioners close the hair’s cuticle layer that was opened by shampoo for optimal hydration, frizz free, and stronger hair. For many curlies, it is best to deep condition after every wash day, but what if you wash your hair often? Jasmina wanted to know just that when she posted this question in Curly Q&A. The more damage you put on your hair requires deep conditioning but finding that sweet spot to the right amount depends on your lifestyle you lead and the needs of your hair. Here are some tips to help guide you. Deep conditioners are thicker conditioners with ingredients that penetrate the hair shaft. They are intended to temporarily repair and nourish between the hair cuticles with its higher viscosity. They are heavier and need to be left on the hair longer to fully penetrate the hair shaft. Applying with heat allows for it to penetrate easier and better and these conditioners have penetrating oils and other ingredients that fight frizz, dryness, and damaged strands. You should deep condition after every wash but for some that is a huge time commitment and it may not be necessary. Washing your hair more than once or twice a week may be too often. Too much conditioning can create over-moisturized hair and disrupt the proper balance of moisture and protein that hair needs. Deep conditioning once or twice a week is more than enough, anything more than that may be overdoing it. Your hair will let you know. What does over-conditioned hair look like? Over-conditioned hair, also known as hygral fatigue, is limp, mushy, or lifeless. It may be over-conditioned or over-moisturized and the quickest fix is to use a protein treatment. If you find your hair appears mushy or limp and you are deep conditioning more than once a week, try reducing how often you deep condition to just once a week. On the other hand, if your hair is responding well to 2-3 deep conditioning treatments, then there is no need to make a change. Many women with color-treated hair or those who use heat regularly probably need that extra moisture, so allow your hair to guide you on what it needs. 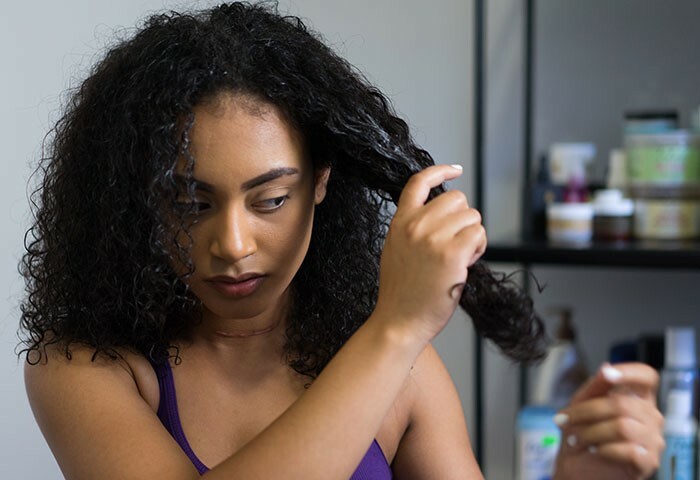 Trial and error will be the best way to determine if deep conditioning several times a week is ideal or too much for your hair, so look for the signs of over-conditioned hair and remember to maintain the protein-moisture balance.